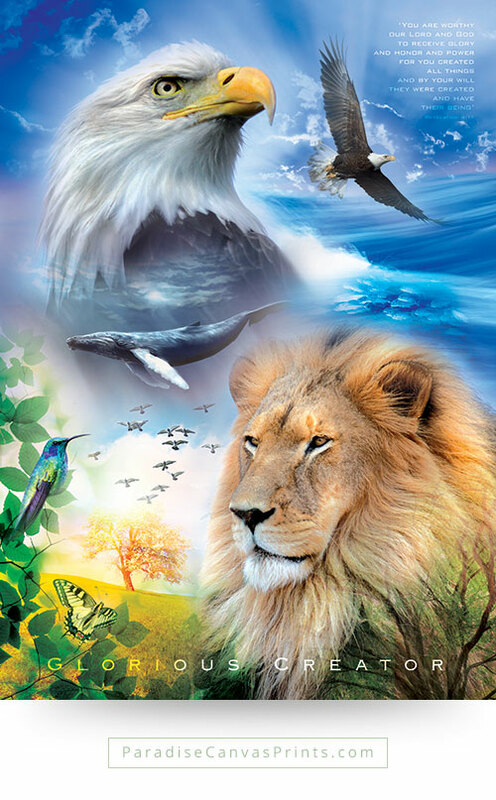 When people see beautiful Christian Wall Art depicting messages of faith and salvation, their mind is involuntarily drawn to imaginations of what Paradise looks like. Through the centuries, the message of Christ and salvation has been the staple of many civilizations. Millions of words have been used to convey the substance of Christianity. However, if anyone takes time to compare the population of all the people on earth and the degree of impact all the words that have been used have had, the balance is heavily tilted towards ignorance. What am I trying to say? That new ways of communicating the Divine messages should be evolved. And this is where Christian Wall Art comes into the picture (if you will forgive the pun). Granted, all forms of decorations are exquisite, but none comes as close as images of paradise in vividly portraying the Universal Message of Hope – Christian faith. People’s hearts will be drawn closer to God when they see images that depict the glory of our creator. Words can powerfully create impressions, but such effects are transient and short-lived. Where the words heard take just a few hours/days/weeks to fade from memory, the impression left by beautiful Christian Wall Art last for a longer period, sometimes stretching to the very edge of eternity! This is not an exaggeration. 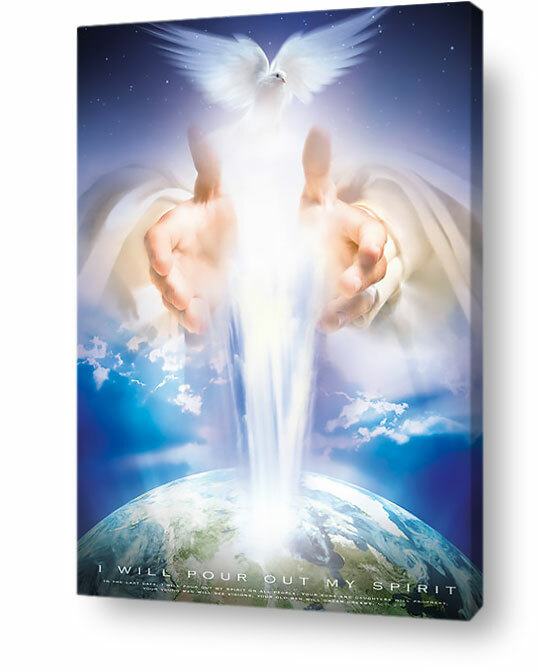 So rather than shout yourself hoarse trying to make non-believers accept the eternal message of salvation, you can simply decorate your home with Christian Wall Decor that powerfully demonstrates how faith practically applies to all aspects of our daily lives. Many people are put off immediately they hear talk about secular and sacred things. None of us likes encountering situations in which life is segmented into the secular and the sacred. After all, life as it is on earth is secular. 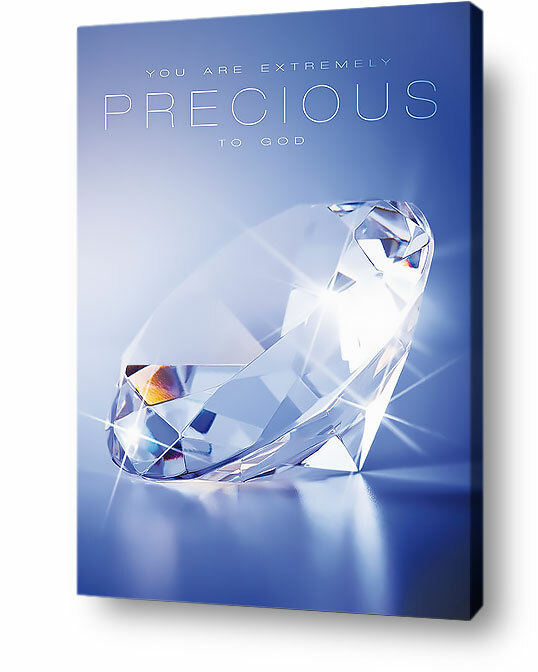 The sacred aspect is enshrined in our souls, and so you could convey you messages about God, Christ, and Eternal life through decorating your home with wall art about spiritual matters. It is easier to transform people’s way of thinking and reasoning about God’s benevolence by showing Him at work in everyday routines in our lives as well as in dramatic events that have molded our being on earth throughout all ages. The demonstration of God’s presence in your home through splendid pictures depicting his work is a creative way of getting the message of faith across to even the most hardhearted person. The simple moments an individual takes to contemplate God’s love through Christian Wall Art can have a strong transforming influence on his/her life. If you use this kind of art as your decorative center pieces, visitors to your home immediately sense the relevance of faith in your life and how you live. Moments of reflection while their eyes are transfixed on the art can make them to begin exploring the importance of their relationship with Christ and God. Look for living room wall art that shows the relationship between contemporary life and what God intended for us right from the beginning, and you will succeed where words seems to be making little headway in winning converts. Learn to decorate your home with art that shows the Christian worldview and the way this relates to present issues that preoccupy people’s minds in all societies. By using this creatively artistic but subtle means of communication, you can win their hearts before you turn to their minds. ← Christian Wall Art Can Change Your Life!